Right or Left for Brazil ? BRASILIA, Distrito Federal | Results from the Presidential elections and the General Election in the worlds fifth largest democracy comes to an end and the result shows a deep contrast between policial platforms in the South American nation. With the third most votes - 19.3%, Geraldo Alckmin , seen as the most progressive and centrist candidate, out, the second round will see either a ultra right-wing populist Jair Bolsonaro or the “Lula caretaker” Fernando Haddad assume office after the now disgraced Michael Temer. Fernando Haddad (born 25 January 1963) is a Brazilian academic and politician who served as Mayor of São Paulo from 2013 to 2017. He is the Workers' Party candidate for President of Brazil in the 2018 election, replacing former President Luiz Inácio Lula da Silva, whose candidacy was barred by the Superior Electoral Court under the Clean Slate law. In sharp opposition stands Jair “Messias” Bolsonaro - Brazilian politician and former military officer. He has been a member of the Chamber of Deputies since 1991 and is currently a member of the Social Liberal Party (PSL). A controversial figure in Brazil, he is known for his far-right and populist political views, including sympathetic comments about Brazil's 1964–1985 military dictatorship. The first round saw, Fernando Haddad getting 21,6% of the votes, while Bolsonaro gained 23,4%. According to analysts, the absence of Geraldo Aickman, will benefit Jair Bolsonaro as years of corruption have dishonored Haddad’s party leading the country first through Luis Lula and Dilma Rousseff, both imprisoned. While Haddad’s voters remains firmly in controle, he will see some challenge in extending the amount. On the other hand, Jair Bolsonaro, Brazil’s Donald Trump has gained momentum with his populist agenda and hard-line position on how to combat violent crime in Brazil. Last year the nation accounted for over 60.000 homicides and is currently seen as one of the worlds most violent nations. His military background has in the past extended to his positive position on the past military dictatorship that governed Brazil. Markets reacted negatively as was expected. Brazil has had the second lowest growth rate of any South American nation only superseding Venezuela for the past 20 years and government spending has expanded after 20 years of leftist governance. Brasílía , Distrito Federal – In conjunction with the Presidential Election, the General Elections also included voting of Federal Deputies to Congress. With over 25 parties represented, the Brazilian governance system represent a diffecult environment for policy-making and party shifting is an increasing affair. Changing Party is so normal, that it is referred to as the Transfer Period, similar to that seen in International Football. March-april is the period, where under the constitution it is possible to change affiliation. However the system itself remains a huge challenge to any president to perform his or hers political agenda. PT – Worker’s Party – represented by former Presidents and now imprisoned Luiz Lula and Dilma Rousseff has never exceeded more than 20% in congress and similar to what has been seen in the U.S, Presidential Decrees is necessary for the implementation of policies. The recent election to congress and senate saw centre-right and right-wing parties progress now accounting for approximately 43% of the seats, but the group is still devided and newly elected Jair Bolsonaro’s alliance only accounts for 15% of the seats in the legislative. 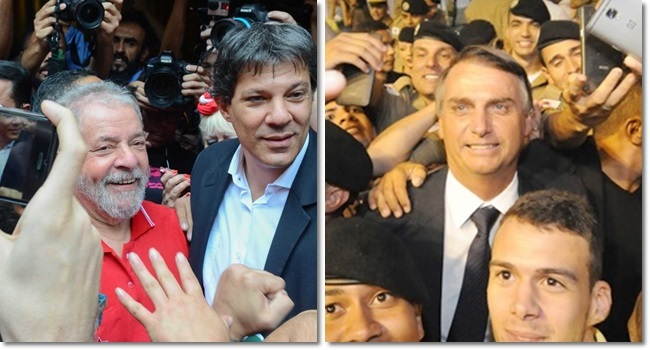 However opportunities still occurs as Bolsonaro’s groups long have plotted on a large unification of smaller parties into one strong Conservative right-leaning party called either Republicanos (the Repubicans), Mobiliza (Mobilise) or Conservador (Conservatives.) that can directly confront the PW – Worker’s Party, that remains, in terms of seats the largest in Brazil. It is accessed that president-elect, Mr. Bolsonaro will have a busy start of his Presidential career following his inaguration in January 2019. Michel Temer’s period was reformist, but he missed the opportunity to finalise the necessary Pension Reform, that without amendment will empty Brazils “coffers” by 2030. Reform is necessary and Mr. Bolsonaro must confront this despite it being unpopular. Being the 9th biggest economy in the world, Brazil is seen backward in terms of trade only being the 25th biggest trade nation. Further new foreign policies are likely to occur in order to bring back Brazil on the map. Notably, 20 years of support to the Palestin freedom movement is likely to be scrapped knowing Mr. Bolsonaro as a supporter of the State of Israel recently being baptised in the Jordan River. 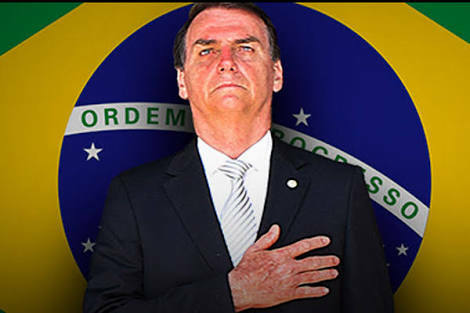 He, during his campign, critised Worker’s Party support to Hamas allocating $ 20 million for their political wing, what Mr. Bolsonaro called “ Brazil statesponsoring international terrorism”. Mr. Bolsonaro and Mr. Mourao (Vice President-elect) will also need to establish a cabinet, which could be a challenge. With only so few withing their own ranks, new found support is necessary to allocate necessary competences and profiles. However one thing is for sure, limiting the number of ministries is top priority for Mr. Bolsonaro in his effords of limitation of state. 2019 will be a year of change in Brazil, question is whether Mr. Bolsonaro is capable. 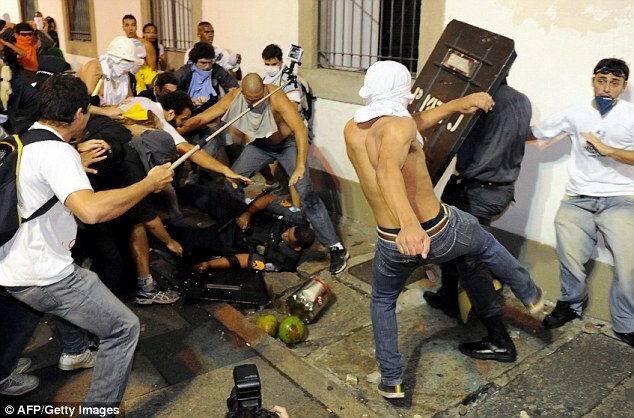 As Jaír Bolsonaro is announced President Elect – violence erupts the streets of Rio de Janeiro. Rio de Janeiro, RJ | With the outcome of the General Elections, leftists are seen hitting the streets in protest against the right-wing populist politician. Over 200 has already been reported injured in Rio de Janeiro’s favelas where clashes between leftists and Police Pacification Units erupted on the streets. The mayor has already requested additional security forces to ensure violence is limited. 12 Policemen has been hospitalized and the fire department has reported of several fires especially in the Santos Laguna favela. The mass demonstrations blocks the fire department to reach the fire sites and thus currently they are not under controle. Vice President-elect Hamilton Mourao when on radio proclaiming that: ”next year we will manage this fighting fire with fire and bring back law and order to the streets. Drug Lords and leftists has taken power on the streets undermining any form of authority much to the distress of the Brazilian people.” Hamiliton Mourao further noticed that this was orchestrated by the Workers’ Party and their communist cronies to stir up more turmoil and bring the state to dissolution. Throughout their Campaign, Bolsonaro and Mourao has advocated a hardline approach to the crime ridden streets in Brazil. Strengthening law enforcement and utilizing the army is part of their agenda. Ciro Gomes, President Candidate, called for people to end this undemocratic approach to the elections and called for order amongst people and for them to respect the outcome of the elections. President-Elect Jaír Bolsonaro addressed corruption, violence in Brazilian Cities and President Pence in the US. Brasilia, Federal Distrito | President Elect, Jaír Bolsonaro re-affirmed his commitment to root out corruption within the Brazilian Government and pledge to initiate “Operation Truck wash” referring to “Operation Car Wash” that concluded in Federal Court imprisoning former Presidents representing the Workers’ Party, Dilma Rousseff and Luiz Lula. “We will target any level of government to root out corruption that undermines any form of prosperity and growth within our nation. With Mr. Lula, Mr. Odebrecht and several others duly imprisoned, the investigations have gone far, but I reassure you we will go even further. I vouch to initiate Operation Truck Wash to root our corruption!” Bolsonaro stated. President Elect Bolsonaro went further to put emphasis on that members within his own alliance would undergo similar investigation and if “Caught with their hands in the cookie-jar” will receive similar treatment. With regards to the inagueration of President Mike Pence, 46th President of the USA, Bolsonaro stated that he would be looking forward to collaborate with President Pence. "We will introduce a more constructive form of collaboration throughout the world and disregard the pro-leftist agenda introduced by former governments." Brasiliá, Federal Distrito – President-Elect Jair Bolsonaro was today inaugurated at a grandeurs ceremony in Brasilia. New President of Brazil, Jair Bolsonaro won the election in 2018 against Workers’ Party candidate Fernando Haddad after a two-round presidential elections. Alongside President Bolsonaro, Vice President Hamilton Mourao too was pledged in. President Bolsonaro has also presented his new cabinet and ministers of state. In alignment with his pledges during his election campaign, President Bolsonaro took the opportunity to reduce the number of ministries, which he has earlier referred to as “Soviet-style leadership organization”, to reduce the number of ministries from 23 to 14. New Interior Minister, Mr. Marcelo Crivella, will be minister of a large portfolio overtaking former ministries such as Human Rights, Cities, Labor, Social Development, National Integration. Cultural and Sports Ministries are combined, while Vice President Hamilton Mouraõ will be given special authority for the National Security Ministry undertaking the task of crime prevention and the advertised combat of crime that has escalated further over the past 20 years. US educated economist, Mr. Adolfo Sachsida has been added as Senior Advisor to the President's Office to support drafting and formulating economic legislation on behalf of the new Government. The high profiled position as Chief of Staff has been given to Mr. Onyx Lorenzoni of President Bolsonaro’s own party Party Social Liberal - PSL. However one of the eyebrow lifting announcements was the new Culture and Sports minister, PSbM member 35 year old Shéridan Estérfany Oliveira de Anchieta. Her Party has not been in the immediate support of President Bolsonaro, however the announcement is interpreted as gesture of collaboration from both sides. Her age and gender also serves President Bolsonaro’s cabinet positively understanding that several ministers are of +50 in age. Another notable announcement is University of Chicago-educated banker Paulo Guedes as Finance Minister. It was expected as Mr. Guedes has been Chief Economic Strategist of President Bolsonaro’s campaign. However Mr. Guedes is regarded somewhat more liberal than Bolsonaro himself, so some challenges are expected in the department of collaboration. Flavío Bolsonaro, son of President Bolsonaro, has not been given seat in the Cabinet. Analysts believes that the motive is to undermine criticism of favouritism and nepotism and the long tradition of family parties in Brazil, which President Bolsonaro has already been accused of in 2003 when he hired his third wife as executive secretary to himself. The reduction of no fewer than ten ministries will surely have an immediate impact on processing of business and obligations, while at the same time will see some thousand being laid off and transferred into either of the 13 ministries. The new government will have several items on its agenda during 2019 and difficult decisions is to be taken manoeuvring in a to some extent hostile Congress. First important item is the Pension Reform, while “transfer day” or "Matchmaking-day" in Congress in March and April, which could lead to more members attaching to Bolsonaro side of Congress. His plans to revamp the party might also see a broaden alliance. Michel Temer’s party MBD and the Progressivistas has already announced they will collaborate but not unite. Slight reduction in expenditures, however this is not that significant. Note that Bolsonaro is considered very controversial, both at home and abroad and the reactions are mixed. He comes across as a very polarizing figure, and as a result the country is also very divided. Last edited by C.E on Thu Oct 18, 2018 1:03 am, edited 1 time in total. s-40 “Riachuelo” begins quayside tests. First Submarine of the Brazilian Strategic Naval Program launched. Sepetiba Bay, Itaguaí, Rio de Janeiro State | Since the signing of the Strategic Agreement between former Presidents, Luiz Lula and Nicholas Sarkozy, the Brazilian Navy’s strategic submarine program has progressed with turtle-steps. SInce the construction of the new submarine shipyard and naval base at Itaguaí, the Brazilian admiralty has awaited their first of four planned diesel-engine submarines. The « Riachuelo » is the first of its familiy based off the French submarine Scorpene. The Riachuelo will then spend two years undergoing quayside tests then sea trials with a view to delivery to the Brazilian Navy in around 2020. The project is managed in a joint-ventureship between corruption riddled Odebrech, Nuclep heavy engineering and French naval company DCNS. With a length of 71.6m and a surface displacement of 1870t — compared with 66.4m and 1700t for the baseline version — the S-BR boats are bigger than the Scorpenes delivered to Chile and Malaysia (two each) or the six under construction in India. The Brazilian Navy chose to extend the hull in order to provide increased storage capacity for fuel, food and supplies, thereby increasing endurance, a key requirement given the extent of Brazil’s territorial waters. The EBN naval base and shipyard will also build Brazil’s first SSN. The project was first conceived in the 1980s. Over the coming decade, the Prosub programme will, at last, bring the idea to fruition. In Brazil, the SN-BR is the declared ultimate aim of the Prosub programme launched in 2009. French cooperation is, however, confined to the non-nuclear parts of the SN-BR programme, or, to be more precise, the platform, but not the nuclear powerplant section. Also, whereas the Scorpene and its Brazilian variant (i.e. the S-BR boats) were designed by Naval Group, the SN-BR is being wholly designed by Brazilians. One of the main aims of the S-BR programme is to give Brazil the know-how and industrial capabilities to build submarines while the SSN part of the Prosub programme aims to give Brazilian engineers the expertise to design SSNs. To this end, a submarine design school was set up at NG’s Lorient shipyard. Brazilian engineers attended the school for two years, before moving back to the Navy’s São Paulo design bureau earlier this year to work on the SN-BR programme. Following the SN-BR feasibility studies begun in 2012, the Brazilians worked on the preliminary design from August 2013 to January 2017. The next phase, the detailed design studies, is scheduled to begin in July 2018. The design team, currently comprising some 200 people, continues to recruit and is expected to grow to three times the current head count. If all goes well, the Brazilian Navy hopes to lay the keel for the SN-BR boat in early 2020, to launch it in late 2027 and to deliver it by around 2030. The official timetable may, of course, slip in the event of either cost overruns or complications due to the programme’s inherent complexity. Dilma Rousseff – Jailed for 10 years. 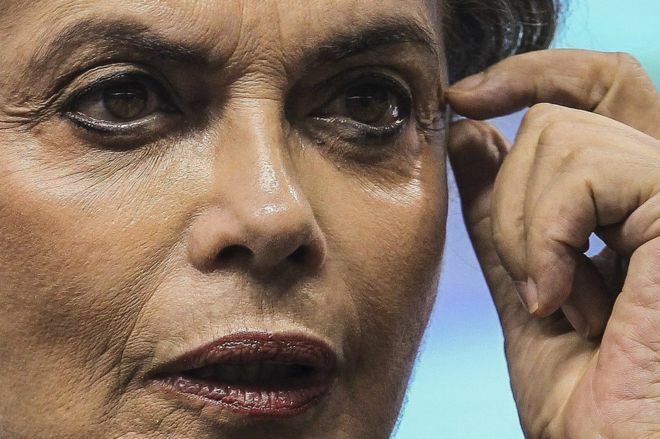 Rio de Janeiro, Rio de Janeiro State | Following court proceedings, ex-president Dilma Rousseff has been convicted and sentenced for 10 years imprisonment by the Federal Court in Rio de Janeiro. Dilma Rousseff has been convicted along with six ex-party members in a series of crimes involving Petrobras from 2003-2008. The charges came as part of the sprawling Operation Car Wash that uncovered a scheme in which Brazil’s biggest construction firm, Odebrecht, overcharged Petrobras for building contracts, where after funds was distributed amongst government officials and other beneficiaries. After having been impeached due to her failure to adhere to the Fiscal Responsbility Act, Dilma Rousseff immediately came under investigation as she lost her diplomatic immunity. Prosecutor Rodrigo Janot, stated that Mrs. Rousseff along with her mentor, ex-president Luiz Lula had received $480 million through the Worker’s Party in bribes. The evidence was imminent, and the ex-president will follow her mentor to prison, Luiz Lula being sentenced 12 years last year. As part of President Bolsonaro’s inaguration speech, he vouched to launch Operation Truck Wash to further root out the corruption riddled public and political system. Recently 42 senior politicians and high-ranking business men has come under suspicion as investigations commences. 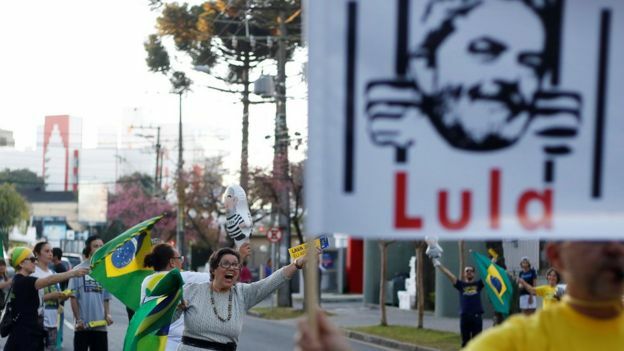 It is expected that Mrs. Dilma Rousseff will appeal the verdict, with Luiz Lula already in process of his first appeal on one of four matters of corruption convictions. “Wannabe wine drinking Islamists in Teheran – biggest threat to peace in ME” – (Eduardo) Bolsonaro says. BRASILIA – Federal District | Following President Bolsonaro’s presidential visits in South America, the government is slowly progressing on formulating its foreign policy. According to his presidential platform, Jaír Bolsonaro stated that Brazil would turn away from its communistic isolationist and pro-islam stances on matters of the world. During his campaign, Bolsonaro further stated that Brazil is “a Christian country”, non-Christians should stay out of political life - as they are not “true citizens”. Islam and African religions should be banned, as they are antithetical to the “national faith” and operate as an “open door to terrorists”. Jews, on the other hand, “are Christians”. “The Government has ended Brazil’s covert support to terrorist organizations such as Hamas, Hezbollah and the Palestinian authority. This is a shame and a historic fact that our government wish to wipe clean. Rousseff and Lula were Stalinist guerilla commanders, their aim was a totalitarian communist regime that actively supported any organization intended to undermine the free world. They were especially focusing on undermining and aid the destruction of the sole democracy, and bastion of peace and prosperity, in the Middle East, the State of Israel. On Venezuela, the Foreign Minister stated his enormous surprise and disappointment on the Worlds lack of interest in dealing with Venezuela. The Foreign Minister finally stated that the State of Israel and United Stated of America, together with the People’s Republic of China topped nations, the President would like hold dialogue with the coming months. Especially with regards to the State of Israel, President Bolsonaro stated that he would be willing to move the Brazilian embassy to Jerusalem. Yet, no reference to this has been made since taking office on 1st January 2019.